Winter stayed in Rochester late this year: cold and snow. In late March the East Coast experienced four northeasters in as many weeks. While mostly the moisture didn’t reach inland as far as Rochester, it was cold. It was a winter cold made all the harder to take given that it was spring! Fortunately, we had a trip to Florida scheduled since last Fall and we glad to get away and leave our “spring” weather behind. It wasn't exactly spring weather in Charlotte either. Originally we had planned on driving to Florida together but the situation changed when Marilyn’s 100 year old Mom was hospitalized with pneumonia in late December. She came home after a week and is doing extremely well but continues to need oxygen pretty much all the time. With aides, Marilyn, her sister and brother have been providing 24/7 presence to make sure everything goes well. It turned out that Marilyn needed to stay through Friday March 23. Bill decided to drive down leaving on the original date of March 22, stopping in Charlotte overnight with Liam and his family, and then pick up Marilyn on Friday at the Charlotte airport. 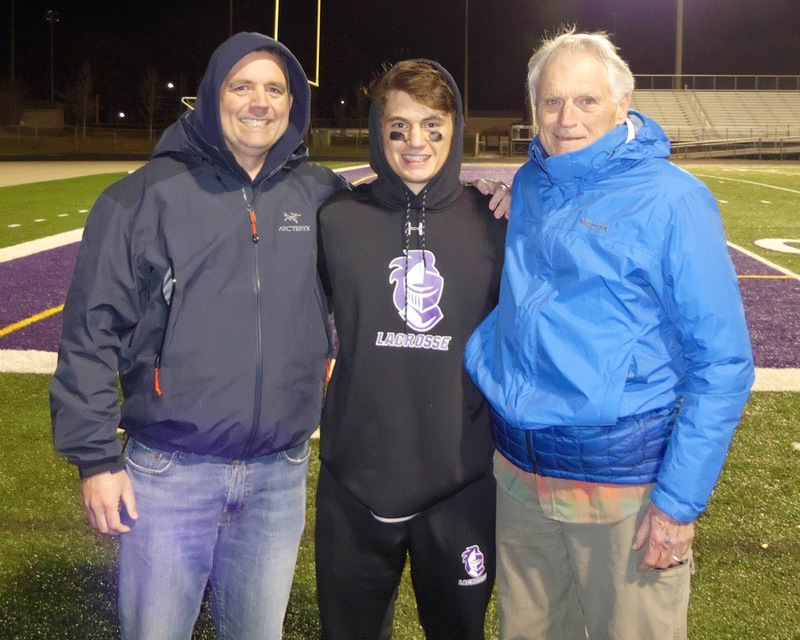 That all worked great and Bill got a chance to see grandson, Liam Jacob, play a high school lacrosse game. He is a captain and looking forward to playing for the United States Merchant MarineAcademy. We are very proud of his decision to attend one of our service academies. He received both senatorial and congressional nominations and has received his formal appointment. It was my first lacrosse game and I have a lot to learn about it before I can begin to get some shots that show how well he played. 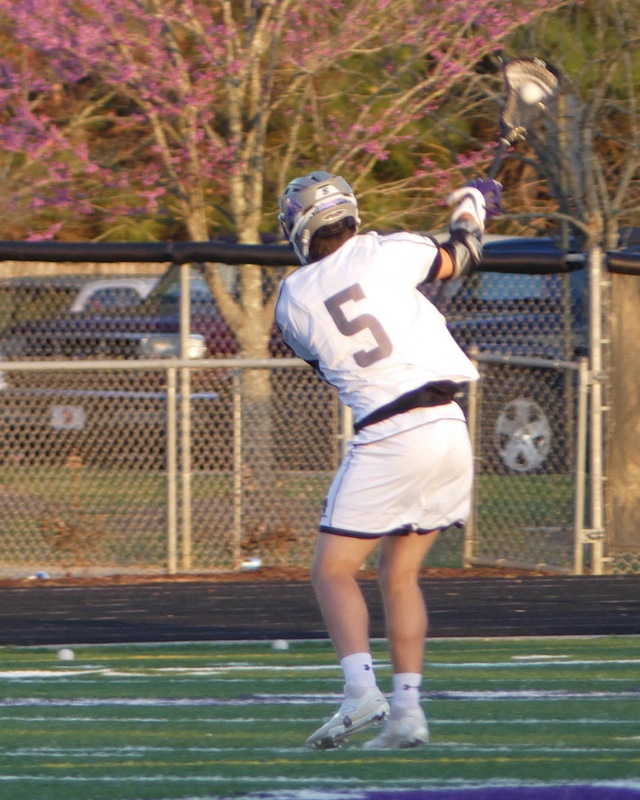 However, I think this one isn’t bad; at least I got the ball in his stick! He plays as a middie with an emphasis on defense although I did get a little confused since players come in and go out constantly. 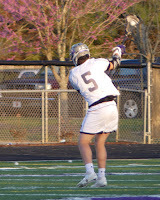 Click here to view more photos of his lacrosse game. After I picked up Marilyn at the Orlando airport, we joined some friends from Rochester who moved to Orlando a couple of years ago, Ishrat and Musheer Hussain. Marilyn became quite close friends with Ishrat when they worked together at Boces 2. Musheer practiced as a general surgeon in Brockport. We spent two nights with them. 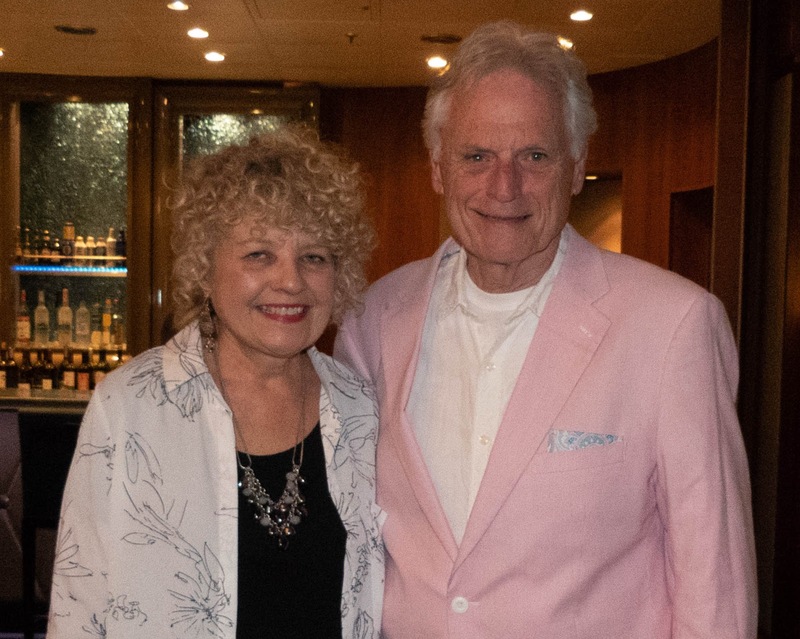 Their hospitality was so warm and gracious that we felt we had already boarded a cruise ship! We enjoyed several delicious meals including a lunch with some other friends, Craig and Susan Larson, who bi-locate seasonally. 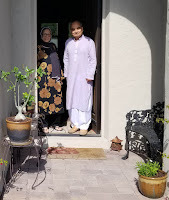 Ishrat and Musheer have an extensively decorated home which radiates a calmness and peacefulness that accords with their personalities and warm styles. Port Canaveral to board our cruise ship, Royal Caribbean’s Oasis of the Seas. We spent the afternoon settling in and then had a delicious dinner. As you can see, this year we decided to step up our game and try to follow the dress code. 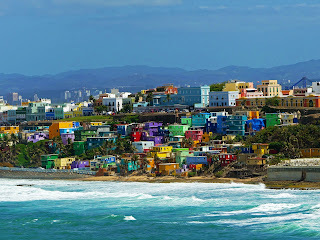 The next two days were spent cruising to our first stop: St. Martin. We enjoyed a full performance of Cats as well as an outstanding show that combined swimming, diving and acrobatics. A comedy show topped off the two days. The next day we will begin our shore excursions. One of things we like most about a cruise is the chance to meet and interact with the staff, typically those serving us food. Since our first two days were at sea without any ports of call, we were able to meet several: Denzil from India, Harry from Indonesia, Chrisarah and Rod from the Phillipines, and Danilo from Montenegro. Each of them were engaging and were happy to share their stories with us. We were particularly taken with Chrisarah. She has an eight-year-old son back in the Philippines with her parents. As a single parent she is focused on providing the best possible future for her son. She was in the first months of the standard eight-month contract and was clearly struggling with homesickness. She had never flown before she boarded a plan in Manilla transferred in Abudabi to flight to New York and then to Orlando. 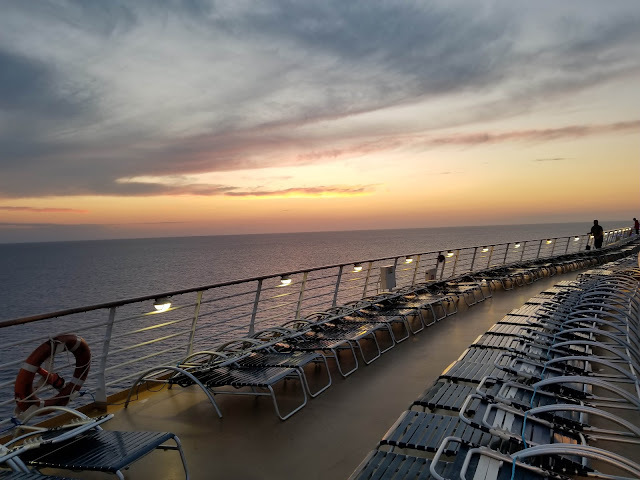 And then on a ship with more than 5,000 passengers and an international crew of 1,500. Rod, also from the Philippines, had a similar story with a five-year-old son back in the Philippines. I will profile some more as we proceed with the story of the trip. 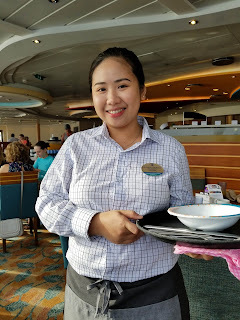 Click here to see some more photos of our first days in the Oasis of the Seas. If you need an enticement to view those photos, here is one of the sunrise photos I captured. Don't worry. Those people in the photo are NOT Marilyn who was snuggled in our stateroom for each sunrise.